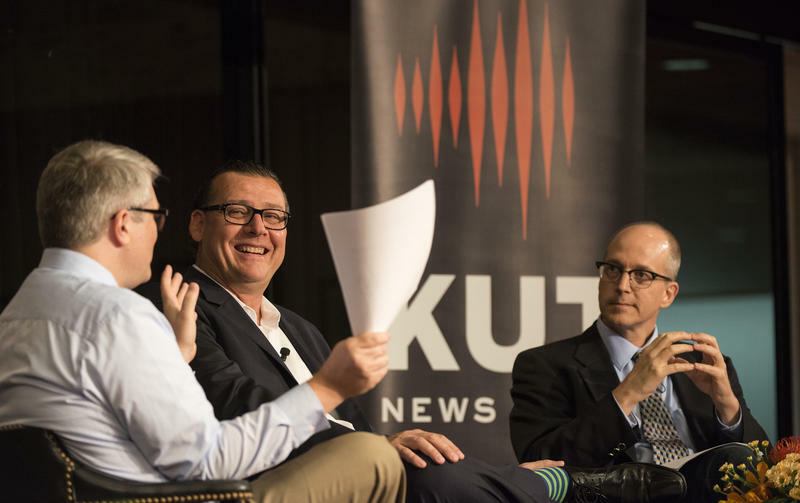 This week, the Tribune's Jay Root and KUT's Ben Philpott taped before a crowd at KLRU's historic studio 6A, former host of the iconic TV show "Austin City Limits." Join Us for a Presidential Debate Live Show! 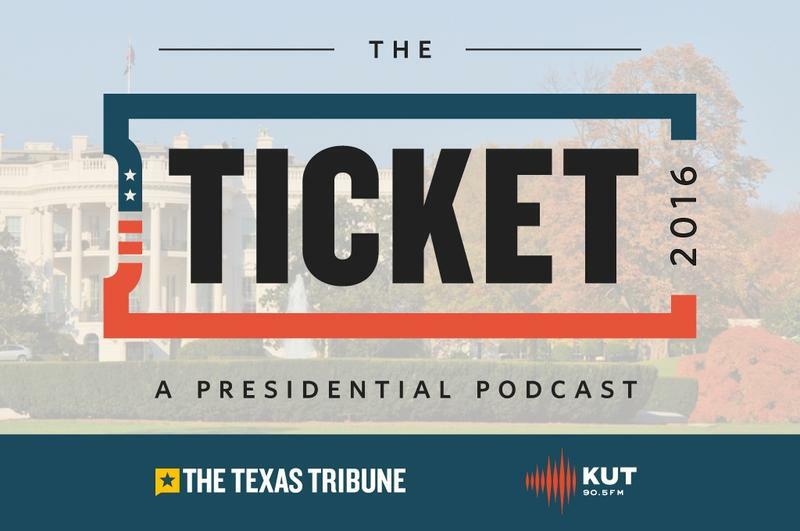 Join KUT’s Ben Philpott and The Texas Tribune’s Jay Root for a live recording of their weekly podcast, “The Ticket 2016” – a look at presidential politics from a Texas perspective. Ben and Jay will kick off the evening with a review of the latest news from the campaign trail; including some debate comedy from our friends at Coldtowne Theater. Following the live recording, we’ll watch the final Presidential Debate between Hillary Clinton and Donald Trump. 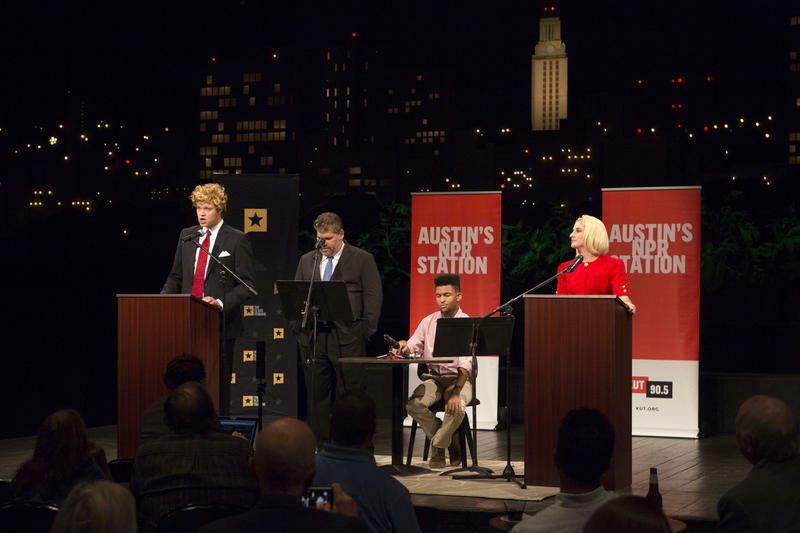 The Ticket: Donald Trump Came to Austin, and You'll Totally Believe What Happened Next. This week on the show: Republican Nominee Donald Trump was in Austin to raise money, tape a show with FOX News host Sean Hannity, and hold a rally before thousands of supporters. KUT's Ben Philpott will guide you through the day with stories and interview from the supporters and protestors following The Donald. 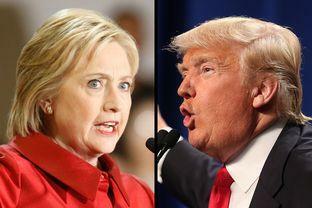 Republican presidential nominee Donald Trump is leading Democratic rival Hillary Clinton by just 6 percentage points in deep-red Texas, according to a new poll. Trump gets 44 percent support to Clinton's 38 percent in the survey, which was done by Democratic-leaning firm Public Policy Polling. Libertarian nominee Gary Johnson received 6 percent, while Green Party nominee Jill Stein got 2 percent. The Ticket: If Clinton Makes A Mistake, But Trump Does Too, Does Anyone Notice? 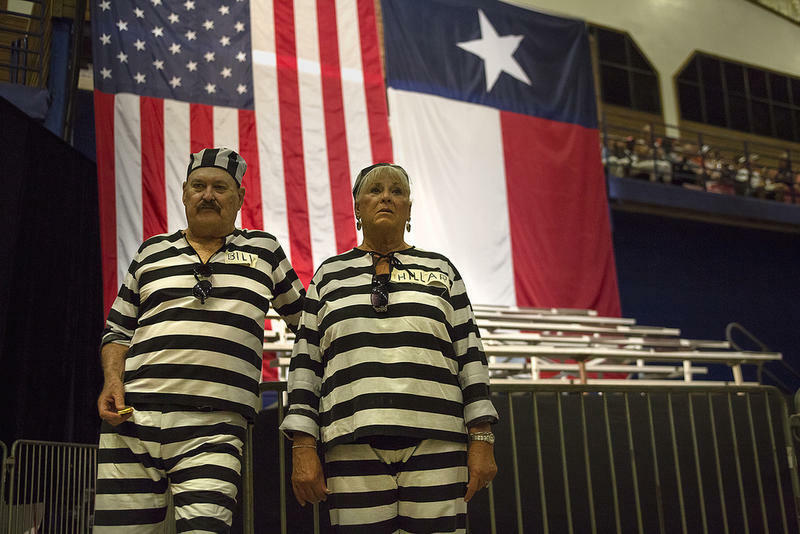 This week on the show: KUT's Ben Philpott and the Texas Tribune's Jay Root spent last week going over a few examples of Donald Trump's rocky road transitioning from GOP Primary Candidate to Republican Nominee. But Hillary Clinton has had her own stumbles. So this week they'll review how she's doing as she tries to reach out to more than just the Democratic base. And to help talk about how Republicans could take advantage of those slips, GOP consultant Matt Mackowiak joins the conversation. This week on the show: With the party conventions finally over, the Texas Tribune's Jay Root and KUT's Ben Philpott will dive into what the race looks likes as the campaigns really kick off. And what Donald Trump's very, very, VERY bad week could mean moving forward. And as you've probably already seen, one of the biggest stories this week is the post-convention polls! We'll have UT Austin pollster Jim Henson guide us through all the big bounces in the last month. This week on The Ticket 2016: KUT's Ben Philpott and the Texas Tribune's Jay Root check back in with Google Data Editor Simon Rogers on what kind of internet searches are being inspired from the speeches at the DNC in Philadelphia. 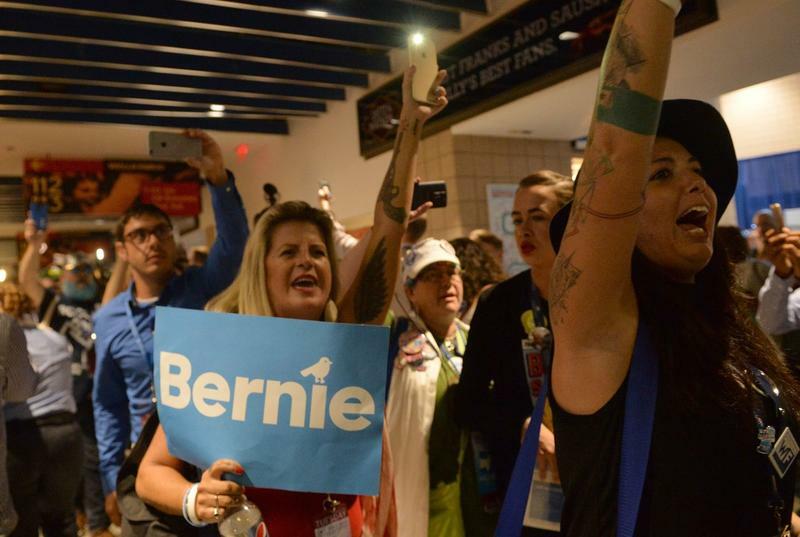 Then they'll check in with Tribune Reporter Patrick Svitek from inside the convention hall to see if the Bernie Bros really won't vote for Hillary Clinton. This week on The Ticket: The Texas Tribune’s Jay Root and KUT’s Ben Philpott check in with UT Austin pollster Jim Henson to see if the national GOP concerns about Donald Trump have trickled down to Republicans in the reliably red state of Texas. The Ticket: After Orlando, Trump and Clinton Talk Public Safety, But Does Anyone Feel Safer? This week on The Ticket 2016: In the wake of another horrific mass shooting, the Presidential candidates were quick to explain how their administration would help reduce this kind of crime. To help explain what Donald Trump and Hillary Clinton are saying, KUT's Ben Philpott and the Texas Tribune's Jay Root put two recent campaign speeches under the microscope on another episode of Stump Interrupted. This week on The Ticket 2016: The different faces of the Never Trump movement. While much of the party leadership has gotten behind Donald Trump, there are still plenty of conservative voters who aren't sure what they'll do in November. KUT's Ben Philpott and the Texas Tribune's Jay Root will introduce you to several different representatives of different parts of the GOP to explain their hesitation. 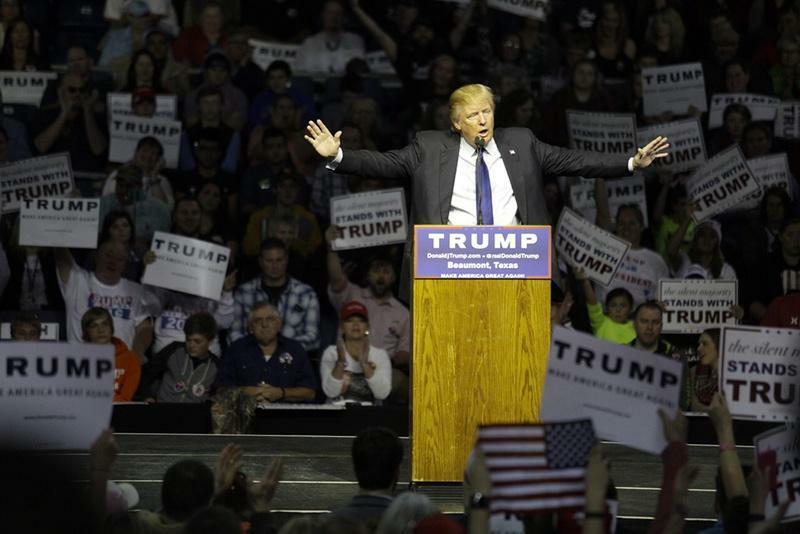 The Ticket: How Can Democrats Trump the Donald? This week on The Ticket 2016: Donald Trump will be the Republican nominee, while on the Democratic side, the battle goes on. 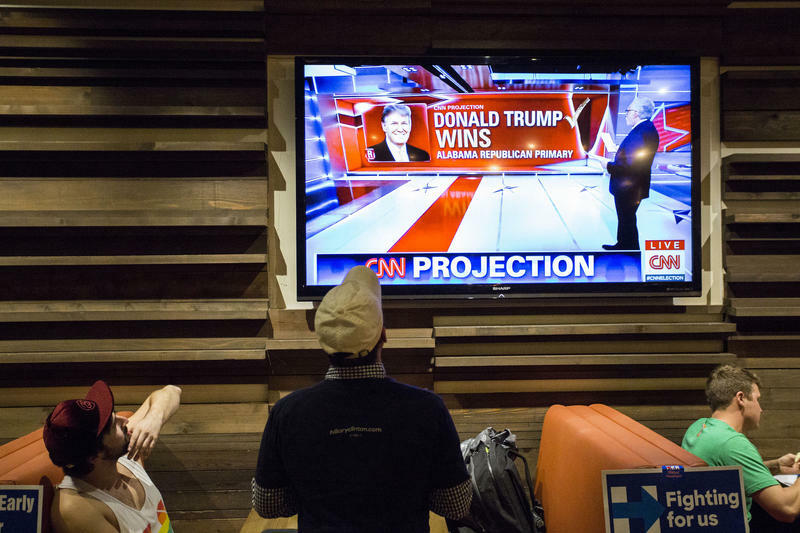 KUT's Ben Philpott talks with CNN commentator Paul Begala about what's left in that race and what's ahead for the Democratic nominee. The Ticket: You Just Lost a Campaign. What Are You Going to Do Next? 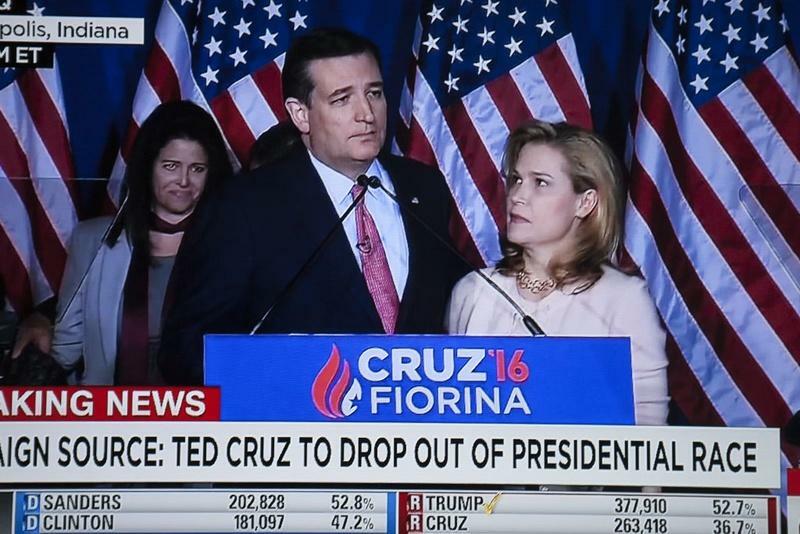 This week on The Ticket 2016: It's been just over a week since Ted Cruz dropped out of the Republican Presidential nomination race. He popped up over the weekend at the Kentucky Derby and headed back to work in the U.S. Senate. But what about his campaign staff? What's next for them? Ben Philpott talks with Republican consultant Deirdre Delisi about life after the party ends. This week on The Ticket 2016: The Texas Tribune's Jay Root is out of town again, but there's still plenty to talk about. First, KUT's Ben Philpott will go over this week's Trump Sweep in the Northeast with Republican strategist Matt Mackowiak. Then, he'll dive into the waters of political candidate cybersquatting. This week on The Ticket 2016: After two weeks of campaigning across New York, Donald Trump and Hillary Clinton came away with big wins. But as we learned in previous weeks, big wins don't mean as much as you might think. KUT's Ben Philpott and the Texas Tribune's Jay Root will try to explain what the New York primary means with the help of FiveThirtyEight.com Senior Political Writer Harry Enten. 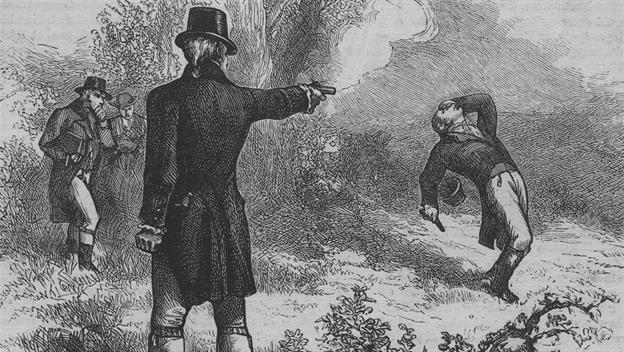 The Ticket: Can Alexander Hamilton Stop Donald Trump? 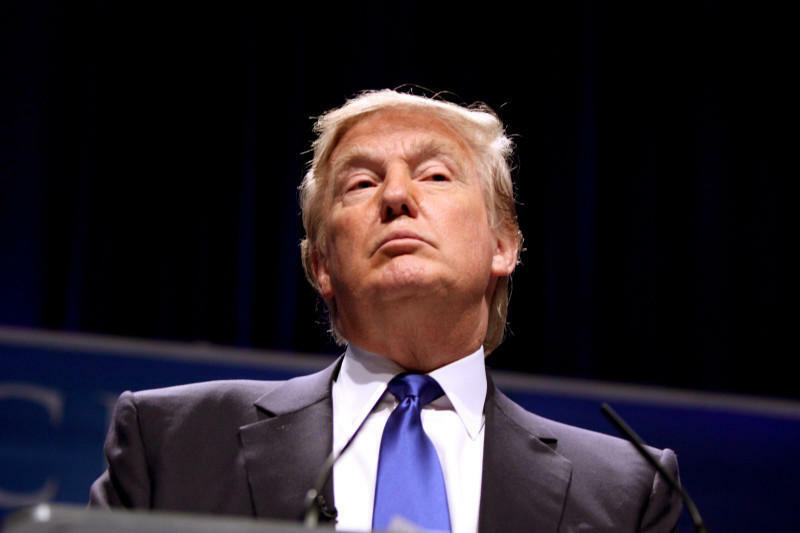 This week on The Ticket: KUT’s Ben Philpott dives back into the Donald Trump Presidential campaign. First he’ll talk with Texas Tribune Executive Editor Ross Ramsey about whether or not journalists should be blamed for Trump’s rise to GOP frontrunner. Then he’ll chat with This American Life producer Zoe Chase about an historical political strategy being invoked by some conservatives to keep Trump from getting elected President: The Hamilton Rule. 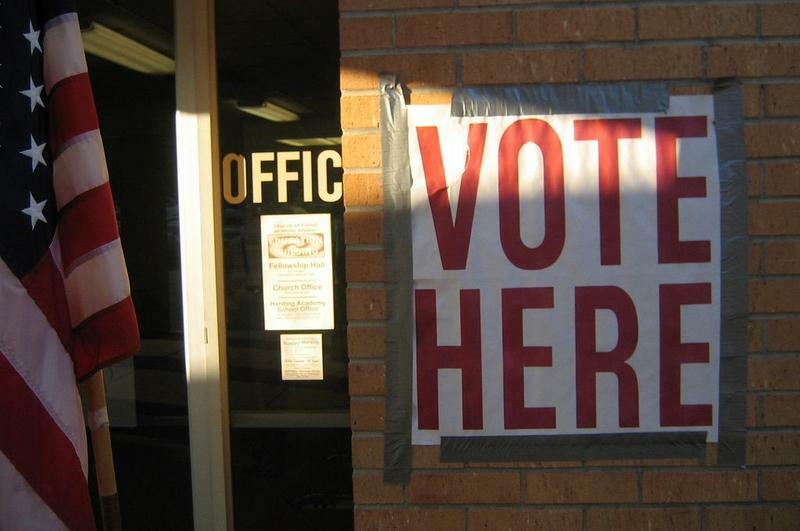 This week on The Ticket 2016: While we're waiting for the parties to figure out who will be the nominees, the Texas Tribune's Jay Root and KUT's Ben Philpott will talk about the ads and media strategy that have helped shape the campaigns so far. This week on The Ticket 2016: The Texas Tribune's Jay Root and KUT's Ben Philpott will try to explain what could happen at this summer's Republican National Convention if none of the candidates have enough delegates to become the nominee. This week on The Ticket: KUT’s Ben Philpott and the Texas Tribune’s Jay Root bring you a mini-episode with our takes on the March 1 Super Tuesday elections. We’ll also hear from Matt Katz of WNYC’s the Christie Tracker podcast on the strange week of Chris Christie: Trump Endorser. By now you've probably heard what Super Tuesday means in terms of the delegate count for the presidential nominating contests. There are almost 2,000 delegates up for grabs across 12 states for the two parties today. But how are those special votes divided up in a primary or caucus? 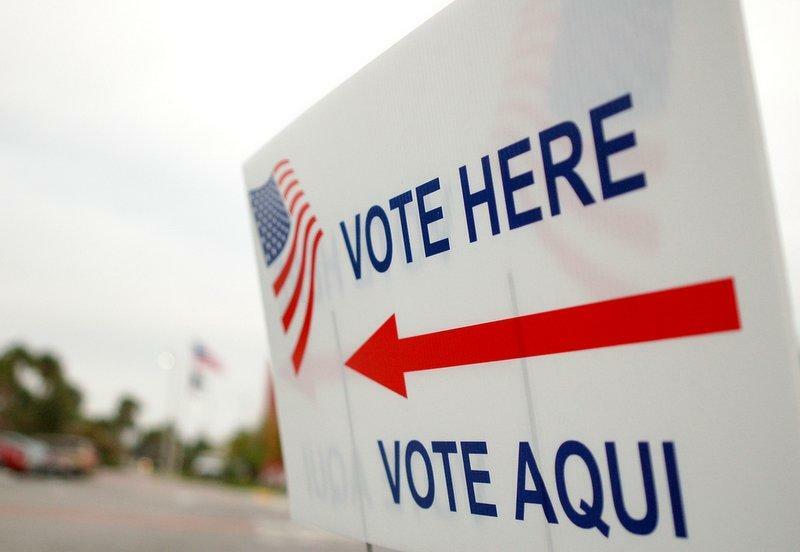 The Ticket: What Do Hispanic Republicans Do Now? This week on The Ticket 2016: The Texas Tribune's Jay Root and KUT's Ben Philpott talk with national Hispanic activist, and former Jeb Bush supporter, Temo Muniz about the Republican primary. Specifically, what do he and other conservative Hispanics do now that Bush is out of the race, and ideas like the mass-deportation of 12 million immigrants are being pushed by top candidates. This week on The Ticket 2016: The Texas Tribune's Jay Root and KUT's Ben Philpott get you ready for the South Carolina primary by explaining who's voting, who's still running and what could happen on Primary night for both parties. And we'll get an update on what's happening in Texas as we get closer to Super Tuesday – with Democratic strategist Colin Strother. 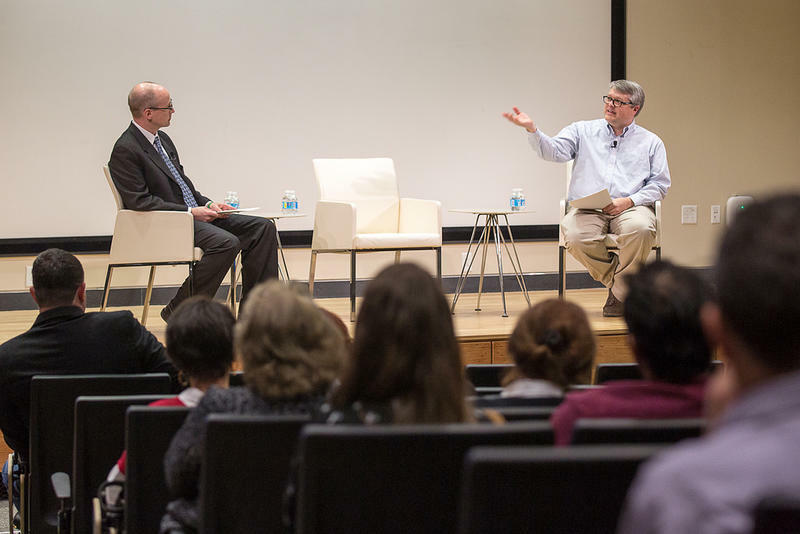 Join KUT’s Ben Philpott and the Texas Tribune’s Jay Root, Thursday, Feb. 11, for a free community event featuring a live recording of their podcast, The Ticket 2016: A look at presidential politics from a Texas perspective. Following the live recording – featuring special guest Democratic strategist Colin Strother and a review of the latest from the campaign trail – we’ll air the PBS Democratic Primary Debate at 8 p.m. This week on The Ticket 2016: Everything you wanted to know about how the presidential primary delegate system works…but were afraid to ask. From the number needed to win a party nomination, to how different states dole them out, and everything in between. 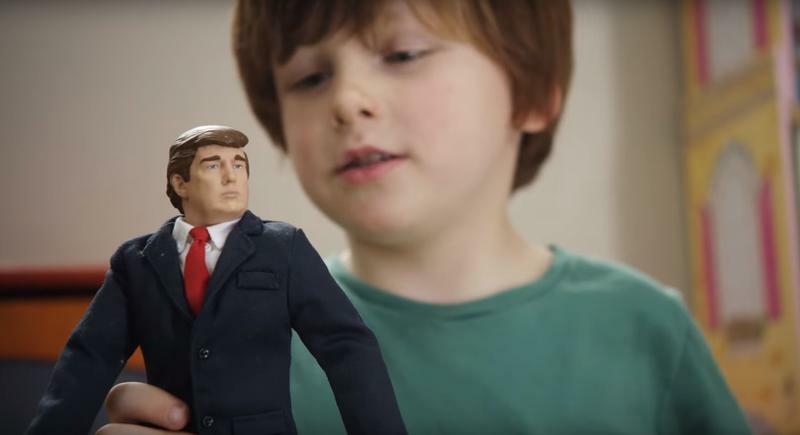 And with the first votes of 2016 about to be cast, hosts Jay Root and Ben Philpott will revisit their dissection last summer of the Donald Trump campaign on Stump Interrupted. This week on The Ticket 2016: There's less than a month until the Iowa Caucuses…and we have a new frontrunner. 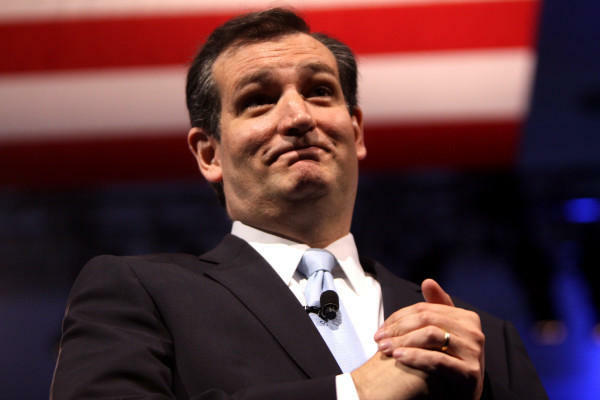 Texas Senator Ted Cruz has taken the spotlight after recent polls has him jumping ahead of Donald Trump. 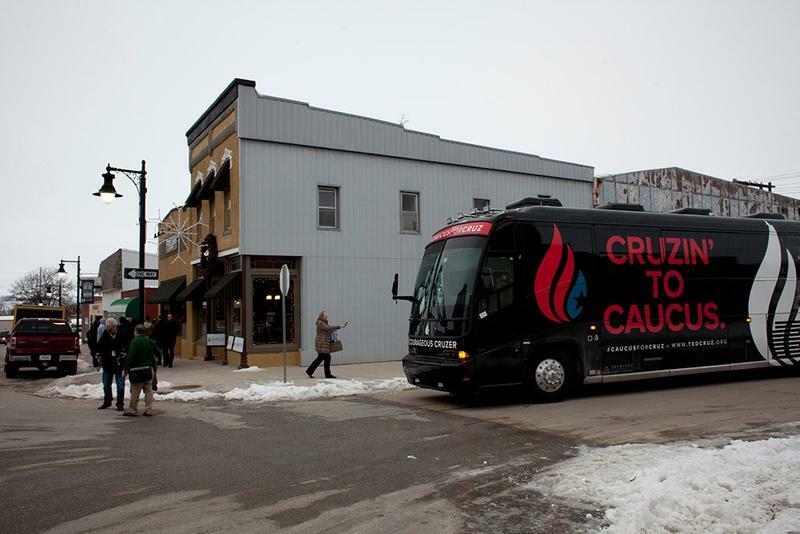 KUT's Ben Philpott and the Tribune's Jay Root will talk with Tribune reporter Patrick Svitek, who's on the road with the Cruzin' to Caucus bus tour. 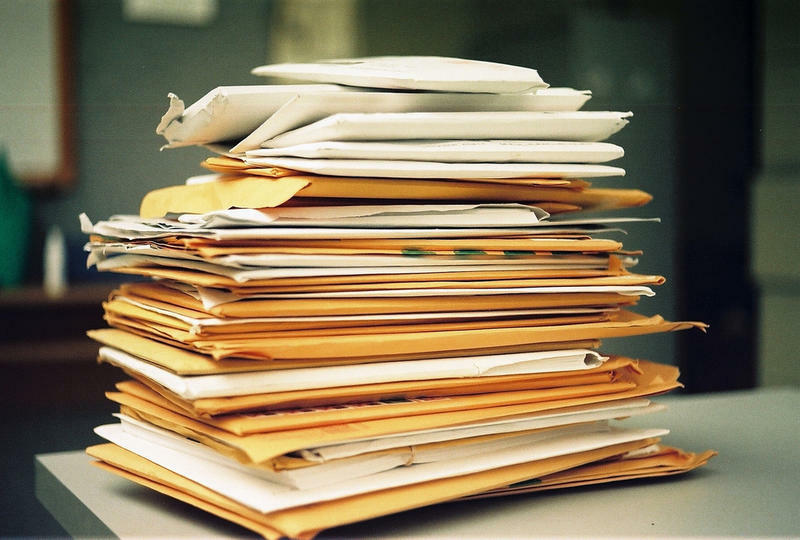 This week on the The Ticket 2016: It's the season of the brown envelope. What's in these anonymous packages dropped on a journalist's desk? 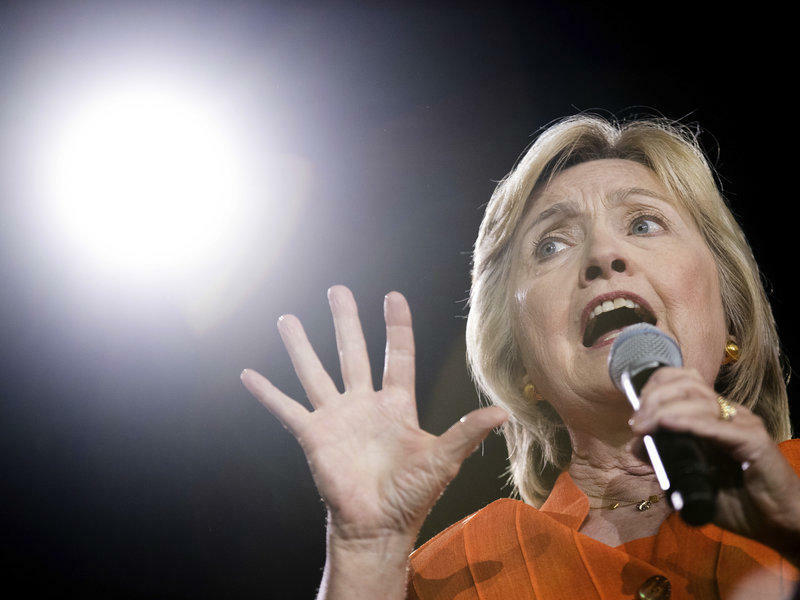 Pictures, audio, documents…all aimed at discrediting a political candidate. The Texas Tribune's Jay Root and KUT's Ben Philpott dive into the world of opposition research to break down how these attacks are created and distributed. Plus, we'll have analysis on Chris Christie's recent resurgence in the 2016 race from New Jersey Public Radio's Matt Katz. This week on the The Ticket 2016: Two of the big winners from last week's GOP debate were Ted Cruz and Chris Christie. Both made waves by attacking the media, and both drew rave reviews for talking tough and being forceful during the debate. What does that mean for the two campaigns? I'll join New Jersey Public Radio's Matt Katz and David Furst from WNYC to talk about Cruz and Christie. This week on The Ticket: In 2008, POLITICO and Huffington Post took center stage in the presidential race. In 2012, we saw the rise of BuzzFeed. 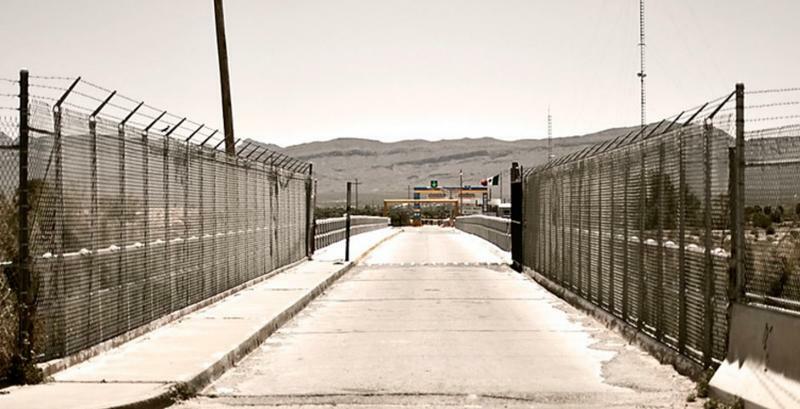 In 2016, some think this will be the year of Snapchat. 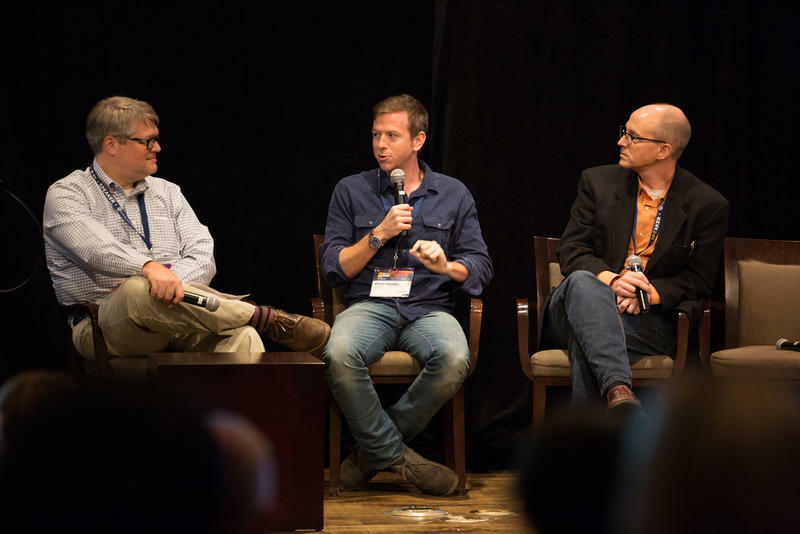 To explain what election coverage on Snapchat means, The Texas Tribune’s Jay Root and KUT’s Ben Philpott talk with Peter Hamby, Head of News at Snapchat. This week on The Ticket: The Texas Tribune's Jay Root and KUT's Ben Philpott look at the role religion is playing in the 2016 presidential race. 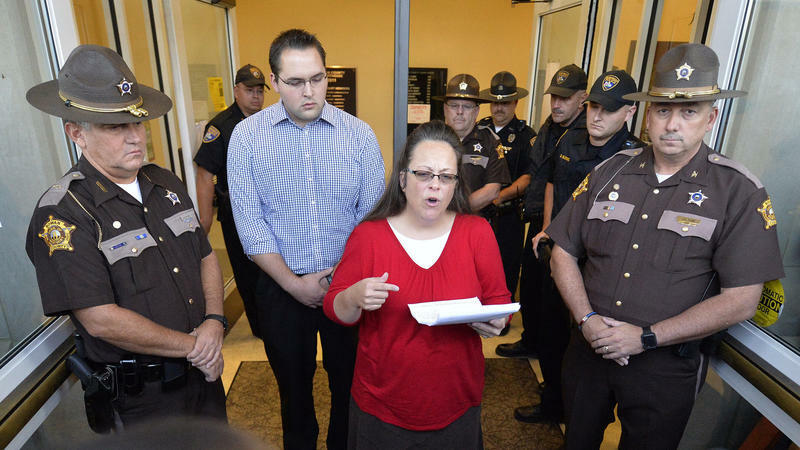 They talk with Sarah Posner of Religion Dispatches on how religion is being used in the GOP Primary.